Change your footwear! You’ll have to leave your tight high heels behind to prevent your bunions from getting worse. Look for shoes with soft material, wide and deep toe boxes, minimal stitching over the joint and no high heels. Consider custom orthotics. Orthotics can alter the improper biomechanics of your feet, helping to reduce stress at the first toe joint and prevent bunions from getting worse. Keep moving! Motion is what keeps our joints healthy. To prevent the joint from becoming rigid keep walking and moving as much as possible. If your feet are sore or swollen afterward use a little ice to calm the swelling. Call us today for a consult to help alleviate the pain from your bunions and to prevent the bunion deformity from getting any worse. Are you curious about custom foot orthotics or orthopedic shoes? 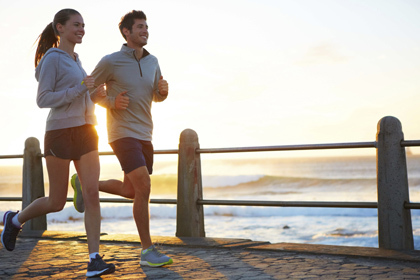 We offer state of the art gait scans that analyze how you walk. This analysis detects abnormal foot function which may be affecting your feet and other parts of your body. Call us today for a assessment at 604-439-1230. I’d been having heel pain for a year, and seriously for the last 6 months it was getting unbearable. I've been wearing the new orthotics you made for me for 1 month and this morning was the first time I almost felt normal. I was suffering from bunions, flat feet, hip pain and all sorts of problems with my feet…until I met Dr. Kaila. 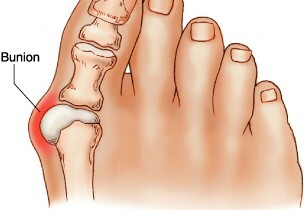 After being fitted for custom made orthotics my hip and joint pain resolved and the bunions are no longer as painful. We are currently able to DIRECT BILL for patients with extended health coverage with GREAT WEST LIFE, PACIFIC BLUE CROSS, MANULIFE, DVA, RCMP, GREEN SHIELD, SUNLIFE, DESJARDINS and STANDARD LIFE & MANY MORE. Not all plans allow direct billing please bring in your extended health information at the time of your appointment or call our office for more information.